Being an executor is a hard, thankless job. What’s worse is that executors can be sued personally if they make a mistake in the estate administration process. A probate lawyer from Westcoast Wills & Estates can help you navigate though the process and help you avoid the many pitfalls that can catch unprepared executors. Contact us or see what previous clients say about us. What is probate and how is it different from estate administration? How long does probate take in BC? How long does the estate administration process take in BC? What is the probate fee in BC? Do I need to get probate? What happens if I die without a will in BC? 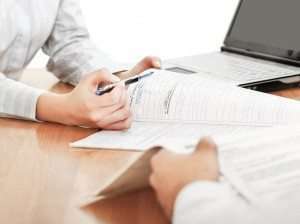 Can a notary help executors with probate? I am acting as executor of an estate, what do I do? Are executors paid a fee? What happens when an executor can’t act? How do you probate a will yourself? Do you have to go through probate if there is a will? Q. What is probate and how is it different from estate administration? Probate means to “prove.” In the case of wills, it refers to the process of proving to the court that a will is legally valid as the last will and disclosing all of the assets in the estate. Often times people loosely use the word “probate” to refer to the much broader process of estate administration though – only a part of which is apply for probate from the court. Estate administration ranges from arranging the funeral, preparing the probate application, filing taxes, paying other debts, distributing the estate, and dozens of steps in between. Q. How long does probate take in BC? Q. How long does the estate administration process take in BC? Commonly, estates take anywhere from eight months to two years to wrap up. Frustratingly, a lot of this time is spent waiting for court processing times and tax clearance certificates. Estates with complex assets or disputes can take much longer to administer. Westcoast Wills helps executors navigate the system in the most time and cost efficient manner. Q. What is the probate fee in BC? Simply speaking, the probate fee is a tax charged by the court to approve a will, or in the case of an intestate’s estate, approve the administrator of the estate. In BC, the fee is currently roughly 1.4% of all the assets passing through the estate. We have a probate fee calculator here to help you approximate what the probate fee will be. Q. Do I need to get probate? A probate lawyer at Westcoast Wills & Estates can help you determine if a grant of probate is required. Contact us. Q. What can I do to avoid probate? Our lawyers each wear two hats: estate planning lawyer and probate lawyer. As estate planners, we help our clients avoid probate where ever possible. This can be done through trusts, beneficiary designations or joint ownership. Care must be taken with all of these methods though, as there can be absolutely huge tax ramifications if done wrong. Consult with one of our estate planning lawyers to avoid probate in a way that works for you and minimizes unnecessary taxes. Q. What happens if I die without a will in BC? If you die without a will in BC, you are said to die intestate. Simply speaking, all of your assets left after your debts are paid will go to your closest living relatives. Part 3 of BC’s Wills, Estates and Succession Act dictates the precise rules intestate succession. Someone (called the administrator) will have to step up to administer your estate. Usually that is your next-of-kin, such as a spouse or child. It will be a frustrating process for them. Just like an executor may have to take a will to court to obtain a grant of probate, that administrator may have to go to court to obtain a grant of administration. See our article about the implications of dying without a will here: https://www.biv.com/article/2016/2/why-you-need-will/. Q. Can a notary help executors with probate? It is long established that notaries cannot give advice to executors regarding probate, nor can they help an executor prepare or amend a probate application (see The Law Society of B.C. v. Gravelle 57 B.C.L.R. (3d) 388 (S.C.) aff’d 2001 BCCA 383). The lawyers at Westcoast Wills & Estates can help you though. Contact us. Westcoast Wills & Estates provided excellent and timely services. The advice provided by Mr. Beishuizen was invaluable and cost-effective. I would definitely recommend him to anyone requiring legal assistance when dealing with an estate. Q. I am acting as executor of an estate, what do I do? If you are acting as the executor for an estate, Westcoast Wills & Estates would be pleased to help you with estate administration. See our page about what our probate lawyers can help you with. Executors are entitled to claim a fee for acting, and they can usually charge the estate for any legal fees that they incur. Sleepless nights, stress and hours of research on the internet by an executor can often be avoided by simply consulting with a knowledgeable lawyer. If you prefer to do it all by yourself, prepare yourself for a frustrating adventure (and possibly personal liability), but luckily there are many resources out there to help you. The Canadian Bar Association has a webpage that provides summarized information for executors. Courthouse libraries can be a great resource for information as well. Q. When is probate needed? The short answer is probate is required when an institution requires it. In other words, if a bank, company, or ICBC says that they will not transfer assets out of the name of a deceased person before they see the grant of probate, then probate is required. In BC, probate is always required when a deceased owns land in their own name. Typically when someone in BC dies with over about $30,000 in their own name, the executor of their Will needs to bring the Will to court to obtain probate. Q. Can an executor charge a fee for acting? Executors are responsible for a great deal of work. Many Will-makers are aware of this and provide compensation for their executors in their Will. Even when the Will is silent about compensation, the law allows executors to claim “a fair and reasonable” fee of up to 5% of the total value of the estate. Beneficiaries are usually asked to sign off that the amount claimed is fine with them, otherwise, a judge is asked to sign off on the fee. Executors are also entitled to be reimbursed for reasonable expenses. Q. What happens when an executor can’t act? When no Executor is available to act, any person that has an interest in the estate can apply to be appointed the administrator of the estate. The law has a list of preferred candidates, in order of priority, that the court will consider when appointing an administrator. Our lawyers can guide you through the process of becoming an administrator. Q. Can I do probate myself? Anyone who is an executor of an estate can apply for probate themselves with enough time and patience. The problem is that the duties of an executor are many. They have to worry about organizing the funeral, filing taxes, dealing with personal effects, paying bills, notifying banks, just to name a few things. The last thing most executors want to worry about is preparing finicky forms and affidavits on top of their already overwhelming job. We can help with everything from a consultation to applying for probate on behalf of executors. Contact us today. Q. How do you probate a will yourself? All the probate application forms are available on the Supreme Court website here. As you may quickly find out though, getting the forms is not the problem. The problem comes when executors try to figure out which forms to use and how to fill them out. Not everyone has a law degree, after all. The Court is extremely picky with how the forms are filled out, and the often send applications back to executors to fix. Our experienced probate lawyers at Westcoast Wills & Estates take all the pressure off of executors having to go through this tedious process. Contact us to help you. Q. Do you have to go through probate if there is a will? With a will or without a will, probate may be required. Whether a grant of probate is required depends on the assets in the estate, and whether the institution responsible for those assets demands probate before allowing the executor to deal with those assets. Some assets like real estate, always require probate. Generally, banks will not release accounts worth over about $30,000 without a grant of probate. Book in for a consultation and ask an experienced probate lawyer if you want to find out if an estate needs probate. Contact us today.